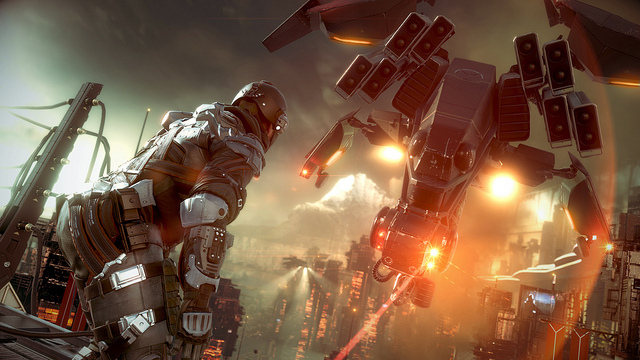 Confirming recent rumors, Sony announced during the PlayStation 4 event this evening that Guerrilla Games is working on a new Killzone game, titled Killzone: Shadow Fall, that will launch alongside the next generation console later this year. 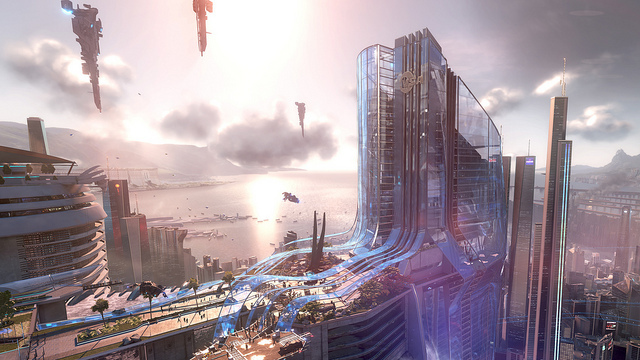 Set thirty years after the events of Killzone 3, Shadow Fall features an all-new “world, a new situation, and a new hero”. The game centers around two rival factions (the Helghast and the Vektans) who live within the same city and are divided by a “vast wall”. Players take the role of a “Shadow Marshal”, a special forces group that is tasked with maintaining the “delicate balance” in the Helghast/Vektans cold war. 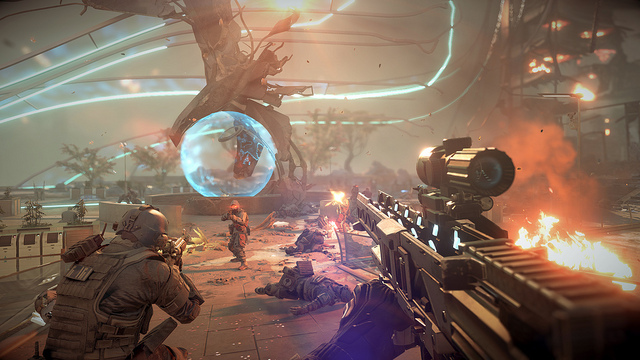 Guerrilla Games revealed that gameplay will range from “responding to bold attacks, to quiet infiltrations or all out combat” as players try to stop a “variety of escalating events” that threaten to destroy the world. 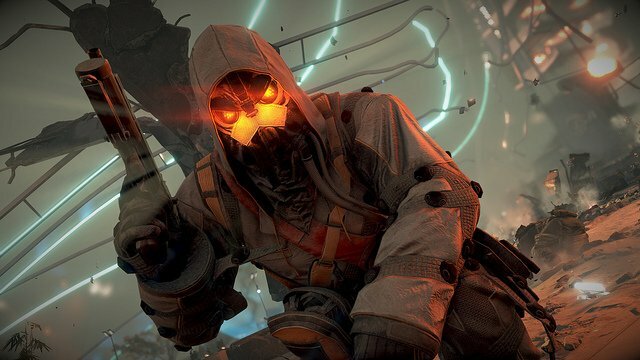 Sony showed off a beautiful trailer for Killzone: Shadow Fall during the PlayStation 4 event that revealed just how powerful the new console will be. The trailer opens up with some amazing footage showing the entire city from the air and then quickly transitions to reveal the raging battle on the ground. As explosions rip through the city, a cloaked Helghan assassin shows up on the scene to finish things up close and personal. The trailer and screenshots for Killzone: Shadow Fall certainly look amazing, however, I can’t help but remember a past Killzone announcement that didn’t exactly use real footage from the actual game. Hopefully that is not the case with this PlayStation 4 debut. Check out the announcement trailer and first set of screenshots for Killzone: Shadow Fall below, and make sure to let us know your thoughts on the title in the comment section. As soon as we get any additional information or assets for Guerrilla Games upcoming shooter we will make sure to let you know.